I’ve been neglecting my blog terribly. I’ve got it locked in my calendar to sit and focus on my fortnightly write ups and clearly I haven’t been disciplined enough. Much has been happening so at some level I feel justified and at others trying to find time to get this going. 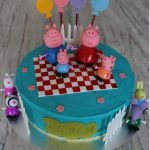 I finally went ahead and launched the business in October 2017, I wouldn’t really call it a full fledged business just yet, but to start with I’ve been taking orders for birthday parties and corporate events and it’s been keeping me super busy. 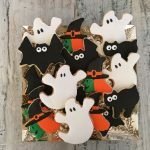 The Bakery Witch Facebook page has been pretty active, and if you want to see something up on the blog earlier, let me know I’ll write about it next. For now, I thought I’d start prepping for Mothers Day well in advance so we can mentally prepare ourselves on putting something together. 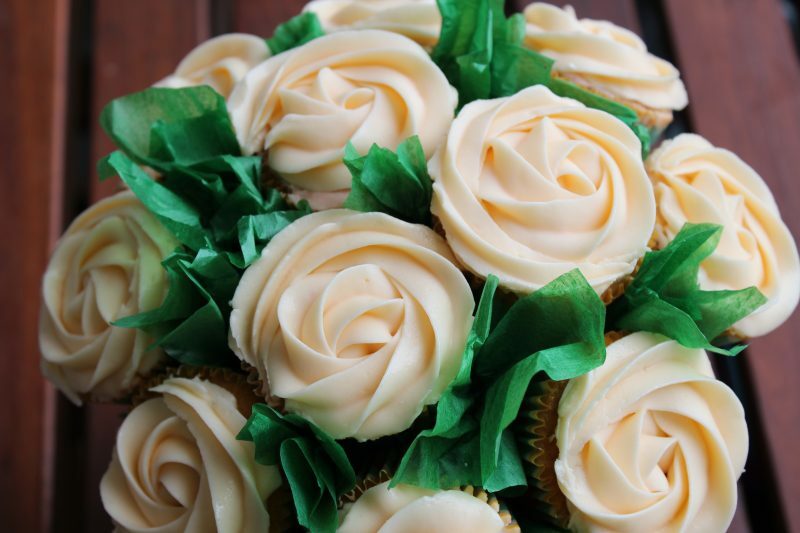 I’ve found cupcake bouquets to be so beautiful and creative. Starting off with just simple roses I’ve seen gorgeous works of art. I rushed to purchase the Russian tips to make these pretty flowers and I am guilty of not even having used them ONCE! Just waiting for an occasion! 1. 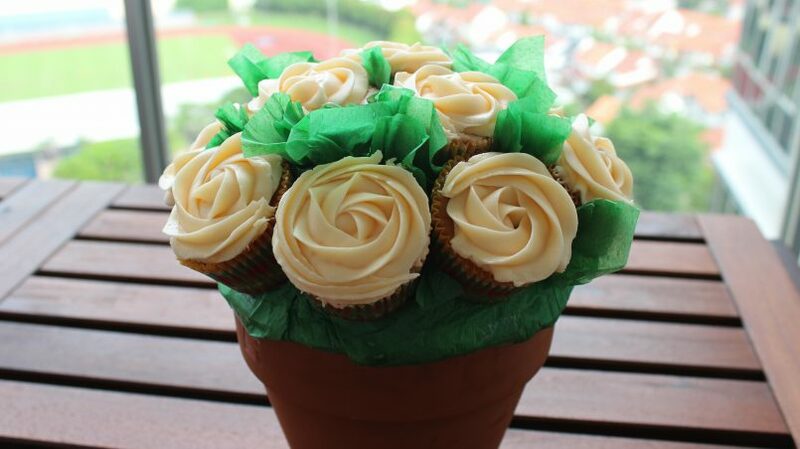 Bake a dozen cupcakes of a flavour of your choice. 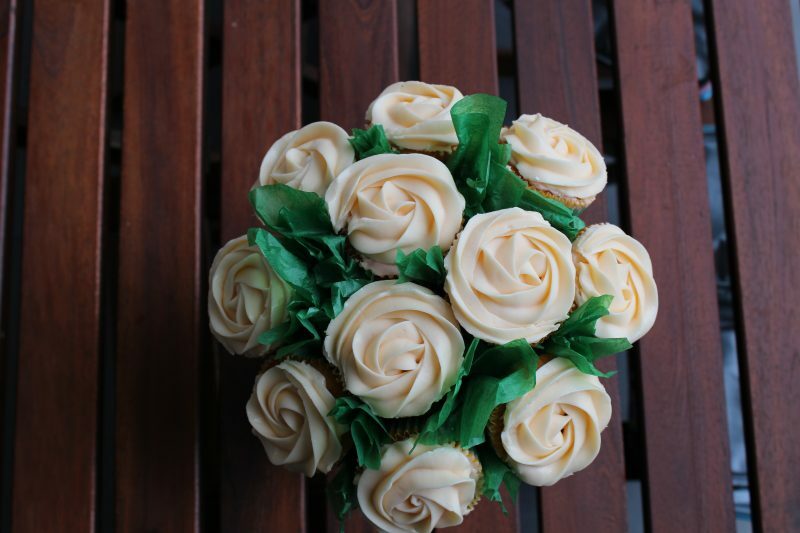 I prefer Vanilla, it keeps the colours of the bouquet light, but chocolate works as well. 2. Take a flower pot, I have used an 7 inch one in diameter here, and insert the styrofoam ball, which should be slightly smaller than the diameter of the pot. You want it to be a super snug fit so the ball stays firm and doesn’t move around. 3. Next, start marking out the placements of the cupcake with your toothpick. You should be able to fit 8-9 all around and remainder at the top. Remember to keep them close to each other. It’s important that the toothpick should be placed into the foam vertically, else the cupcake will start flopping over. 5. 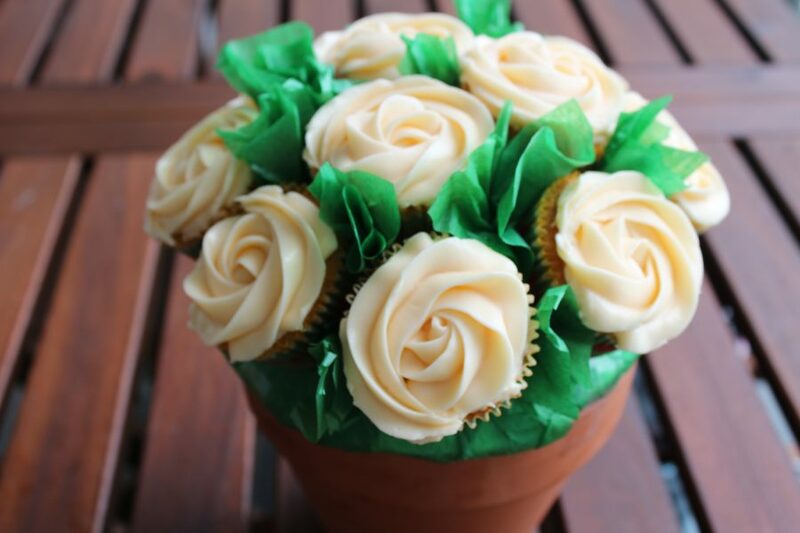 Once the cupcakes are placed start filling in the gaps with green tissue paper to act as leaves, or ANY colour you fancy. Once all the areas are covered start with the frosting. 7. Lastly, you can tie a ribbon around the pot to finish it off. There are LOADS of flower pot varieties out there, I wanted mine to look rustic so I’ve used the typical old school one. But depending on the colour of the bouquet you can really almost do anything. This really makes for such a beautiful mothers day gift, and not the typical run of the mill. A real treat for mum and gives her an opportunity to share, which she loves doing.